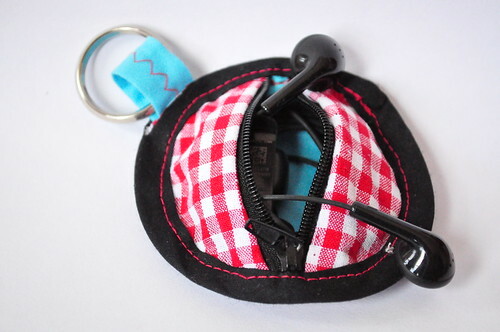 This earbud pouch has been all over the internet since last November and it inspired this gift to my husband. 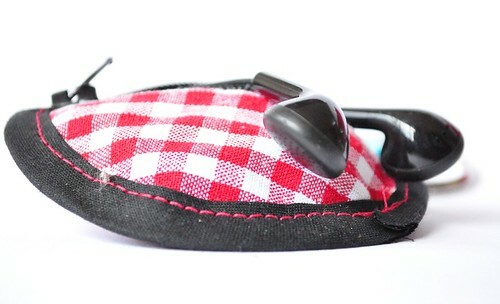 A little iPhone cover and a matching earbud pouch. He lost his earbuds so many times and I thought it would be a great thing to have a little pouch for them on his keys. But bless him, he never used it up until now, which may be my own fault because it was buried under a pile of stuff in our office. 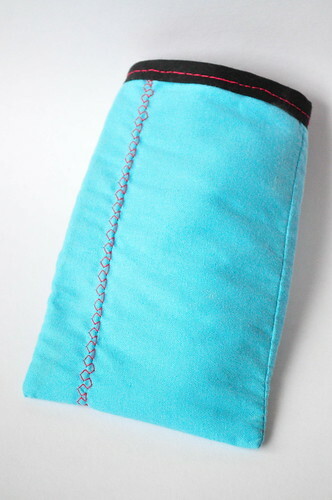 My take on the earbud pouch... finished with black bias tape. Red Gingham and Aqua with black accents and my earbuds. 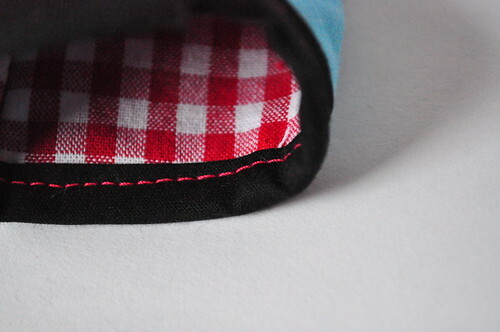 Lined with Red Gingham. I.LOVE.RED.AND.AQUA! Now that I've finally take the pictures and uploaded them I can put these two into my husband's stuff so he may actually use 'em.